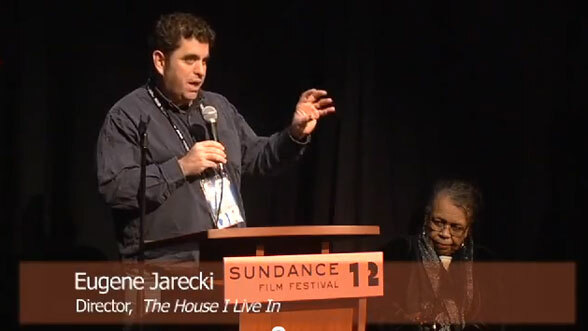 New York Times: Sundance Documentaries Transform Data Into Stories Over the weekend, The House I Live In, Eugene Jarecki’s heart-heavy investigation into the American war on drugs, nabbed the grand jury prize for documentary at the Sundance Film Festival. Miller-McCune Magazine: Does Black History Month Need More Than a Month? At a time when so many documentaries adopt an either angry or elegiac tone, More Than a Month has a disarmingly light touch. Among the several laugh-out-loud moments is a brief parody of Ken Burns’s The Civil War, featuring the filmmaker in period costume. Tilghman’s a great guide on this journey: he’s genuinely troubled by the questions he raises, but he’s also unpretentious, quizzical, and, at times, bemused. Realscreen: Sundance 2012: “House I Live In,” “Versailles” scoop prizes Eugene Jarecki’s The House I Live In (pictured) has won the Sundance 2012 Grand Jury Prize for Documentary, with Lauren Greenfield’s The Queen of Versailles picking up the U.S. Directing Award for Documentary, and two docs about the ongoing Israel/Palestine conflict also winning accolades. Realscreen: Winter/spring schedule for PBS’ ‘Independent Lens’ unveiled U.S. public broadcaster PBS has revealed the winter/spring 2012 programming line-up for its acclaimed documentary strand ‘Independent Lens,’ including Hell and Back Again (pictured) and We Were Here, both shortlisted for Academy Award nominations this year.